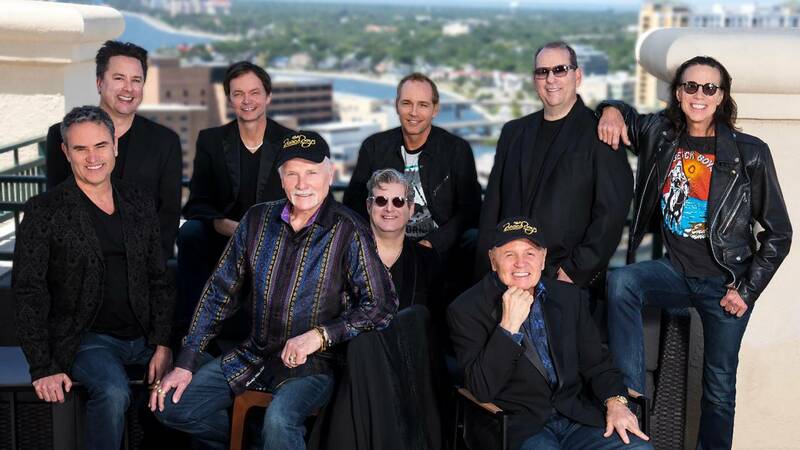 The Beach Boys will perform March 23 in Amarillo. The iconic summer-rock band The Beach Boys will surf back into Amarillo in 2019. Tickets for the band's March 23 concert, part of its Now & Then Tour, will go on sale at noon Nov. 16 at PanhandleTickets.com, by phone at 806-378-3096, and in person at the Amarillo Civic Center Complex Box Office and in participating United Supermarkets in Amarillo, Canyon, Borger, Dumas, Dalhart, Hereford and Pampa. The concert is set for 7:30 p.m. March 23 in the Amarillo Civic Center Complex Auditorium, 401 S. Buchanan St.
Tickets are $42, $52, $62, $72 and $92, plus fees. The band, which debuted nearly 60 years ago and still plays about 150 shows per year, is led by co-founder Mike Love and longtime member Bruce Johnston. Other members include Jeffrey Foskett, Christian Love, Tim Bonhomme, John Cowsill, Keith Hubacher, Christian Love and Scott Totten. Love helped form the band in 1961 with cousins Brian, Dennis and Carl Wilson and friend Al Jardine, as he discussed in our 2016 interview. The band charted more than 80 songs worldwide — including four No. 1 hits on the Billboard Hot 100 chart and 36 in the Top 40 (a record for an American rock band). The band is one of the world's best-selling bands of all time, having sold more than 100 million records around the world. Johnston joined in 1965 to fill in for Brian Wilson on the road. The Now & Then tour launched in May and will continue at least through March in the U.S, then throughout Europe in the summer. The band's last appearance in Amarillo was in August 2016 for a pair of concerts (a second show was added after the first one sold out quickly).